BMW M3 Performance, Engine, Ride, Handling | What Car? The BMW is a powerful car that’s capable of cornering at impressive speeds. It has a huge amount of front-end grip, doesn’t roll in corners and responds to steering inputs very quickly. The steering is weighty enough but doesn’t give much in the way of natural feedback. The adjustable suspension can be made firmer when you’re driving harder but, in any mode, the car is agile and precise. There’s not a great deal that’ll keep up with the M3 in a straight line – although the Alfa Romeo Giulia Quadrifoglio is marginally quicker. The BMW's twin-turbocharged 425bhp straight-six engine pulls strongly, even in higher gears. However, while from outside it sounds great, in the cabin it is harsh and loud. A six-speed manual gearbox is standard but we’d recommend specifying the optional seven-speed, dual-clutch automatic. It allows you to make far better use of what the quick-revving engine has to offer, thanks to its reliable and lightning-quick shifts. It also makes the car a little more easy-going in traffic and around town. The launch control system can be very fiddly to use, though, and doesn’t restrict wheelspin as well as some rival systems. Despite this, we managed to record a 0-60mph time of just 4.3sec in our test M3. The BMW’s ride is firm but tolerable for a car of its ability. There’s lots of road noise at motorway speeds, however, so long drives can become a little tiring. The only downside to the M3’s outrageous capabilities is that it has to be driven aggressively and fast before it begins to get exciting and involving. It’s not like the thunderous Mercedes-AMG C63, where you can amble around at lower speeds and enjoy the bellow of its V8; nor the Giulia Quadrifoglio, which makes its own superb noise and is more playful at lower speeds. 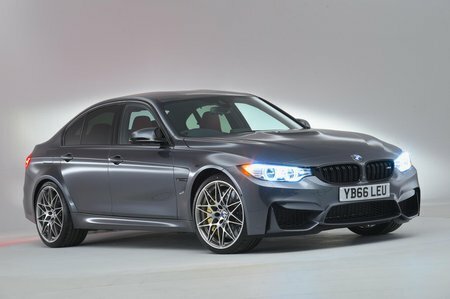 For more money over the standard car, BMW will add a Competition Pack, which brings slightly more power, bigger 20in alloy wheels, black exhaust tips and a unique suspension set-up. The extra power isn't really noticeable on the road, but the revised suspension is a revelation. 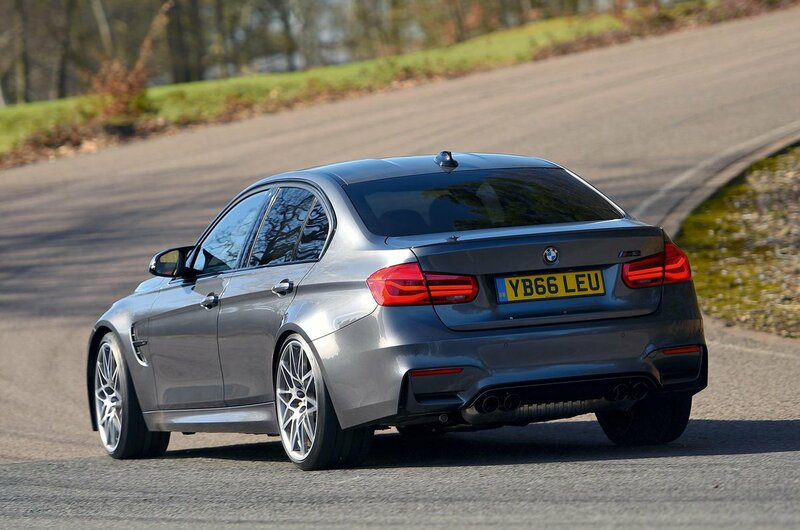 In Comfort mode, the M3 Competition feels beautifully damped, absorbing bumps and compressions with relative aplomb. This means that the car works with you and is therefore much less intimidating to drive than the standard M3. Given that Competition Pack models will hold on to slightly more value come sale time, it's a worthwhile addition if you can stretch to it.